New York City based electronic duo The Knocks will celebrate the New Year as the house DJs for MTV’s Club NYE 2013. The festivities broadcast live from Times Square on December 31st at 11:00pm eastern with performances by Ke$ha, Ne-Yo, Sean Kingston, Rita Ora and Conor Maynard with hosts Nicole “Snooki” Polizzi, Jenni “JWOWW” Farley and comedian Jeff Dye. "We grew up glued to the TV on New Years watching the MTV concert,” states The Knocks, “so to be a part of it is really awesome. We're very excited to be in the studio when the ball drops." 2012 has been a good year for The Knocks. They continue to ride high on their latest single, ‘The Feeling’, and are currently in the studio working on a full-length debut, out next year on A&M / Octone. 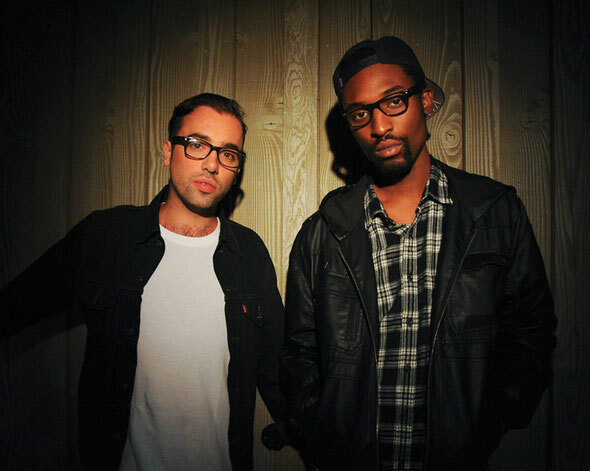 The Knocks have announced select dates rounding out the year and into 2013.